While it is always good to work with the latest and greatest versions of everything, there are still solutions running on 2010 that need maintenance. 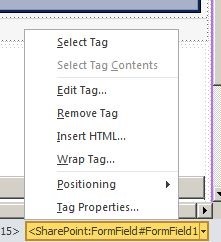 So recently I found myself having to update a SharePoint 2010 solution that was made up of an SPD2010 workflow, a content type and library template. I had to update the content type, workflow and library template with some new and updated columns. The library template was using a custom Edit form with some of the content type fields hidden, so I had to update the Edit form to show some new fields. 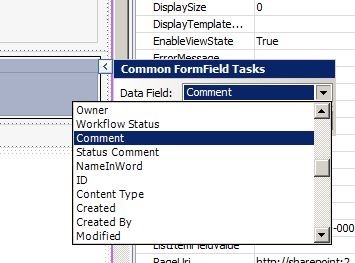 To add a new field to a form you would normally edit the form table to and new rows where needed then select the field from the data source and select as ‘Insert as List Form Field’, unfortunately this option was no available; updating an edited form seems to be a common problem with SPD2010, as the same issue is outlined here. Once completed the new control will be available on the form.